its micron range. What does this mean? Click on the graph to the right to learn about the relationship between microns and your infrared sauna, and why clinically tested heaters are important. 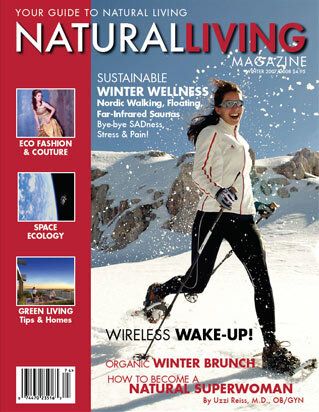 Our Infrared Saunas have recently made headlines with their revolutionary clinically tested Carbon Wave 360 technology. 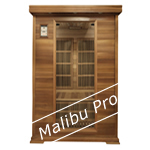 This patented 2014 technology enables the user to absorb up to 10x the heat of other infrared saunas equating to 10x the benefits. 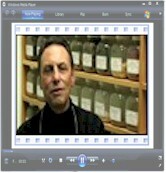 You may also browse the infrared library for articles about infrared therapy which may be of interest to you. 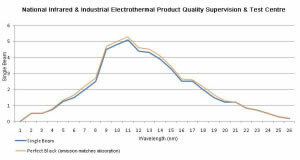 What is Far Infrared heat? 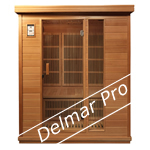 Why are infrared saunas better than a conventional sauna? In an infrared sauna far infrared heat is used to directly penetrate the body's tissues to a depth of over 1½ inches right into the muscle. Its energy output is tuned to correspond so closely to the body's own radiant energy that our bodies absorb close to 93% of the infrared waves that reach our skin. A conventional sauna (steam sauna) must rely only on indirect means of heat: First, on air currents and then, direct contact of hot air with the skin to produce its healing effects on us. With Far Infrared heat and our unique Carbon Wave 360 Panels, less than 20% of the far infrared energy heats the air, leaving over 80% available to be directly converted to heat within our bodies. 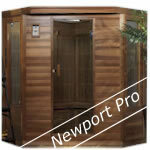 Thus a Far Infrared Sauna can warm its user(s) to a much greater depth much more efficiently than a conventional sauna.